The opening line from Mary Howitt's delightful and deep meaningful poem. The Spider and the Fly is well worth a read! Following on the Pitcher plants have been active lately catching a lot of prey items- possibly before they shut down for the winter months. A couple of visits to the greenhouse over the weekend revealed wasps, large bluebottle flies and smaller winged insects all falling victim to the allure of these plants. Once they land on the slippery sides of the trumpet there is no going back! Bluebottle fly about to get into trouble! 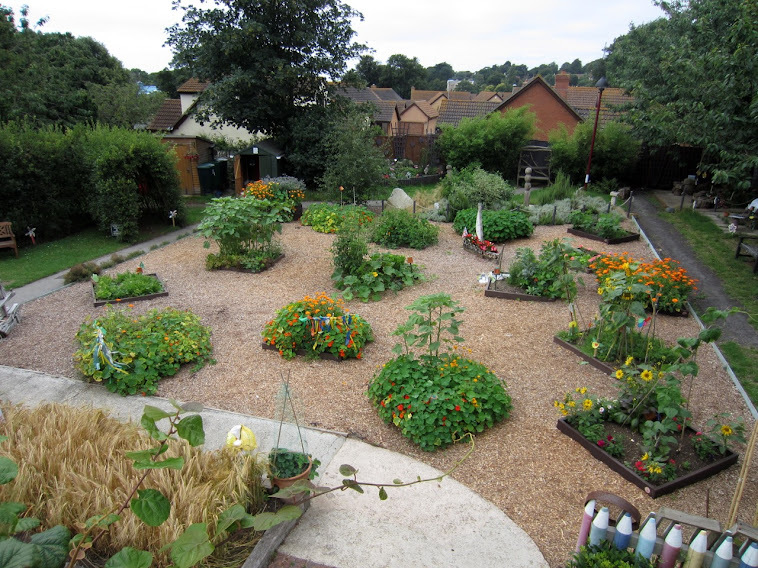 The final construction of the Jurassic Garden was also completed. The nest area and the nest itself was adjusted and fixed. A membrane was laid down to prevent weeds from poking through. It is hoped to get the first delivery of stone in during the next week. Four pictures of the completed nest area with the membrane down ready for the stone material. The large area of earth will be built up with topsoil ready for the planting of ferns and suitable 'Jurassic' plants next Spring. We are hoping to make the planting as interesting as possible. Colour still survives in the garden. A few Calendulas are still in flower and there are plenty of fungi about including the delightful Sulphur Tuft. 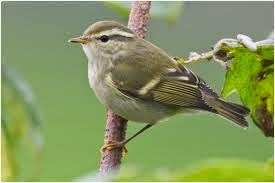 A recent avian visitor to the garden has been a Yellow-browed Warbler. These small rare birds occur annually at this time of the year from the Siberian taiga forests. They are very small and have a distinctive and plaintive call. We found this picture from the internet. Finally it is intended to once again hold a carol service in the school garden following on from last years great success. The provisional date is December 6th. More details later.